Apple co-founder Steve 'Woz' Wozniak has some choice words for former cohort and current Apple CEO Steve Jobs. Woz says the iPhone, MacBook Air and Apple TV could have all been so much better. He then goes on to explain why. “I was shocked because Apple was bringing full internet with full webpages, and I was surprised that it would not be 3G, and I knew that that would be a speed detriment,” APC reports. Woz admits that he hasn’t been privy to information that Apple has on this though. He is also apparently unaware that a 3G iPhone is coming this year – possibly as early as May or June. “Not one of them made me feel good about accessing the internet, browser-style until the iPhone,” ZDNet Asia reports Woz as saying. Woz explained that his lifestyle was too hectic to finish watching a movie in the same 24-hour time-frame as when he first started watching it. However Woz isn’t strictly right: there is plenty of anecdotal evidence from Apple TV users who suggest that the 24-hour viewing window is actually a good deal longer in practice – the original rental appears to expire, but you can carry on watching anyway. You don’t have to pay again. Evidence emerging today though suggests Woz is wrong. Ars Technica reports that the MacBook Air is selling out almost daily in major stores, with Apple struggling to meet demand. 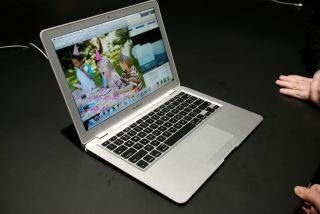 Analysts have also said that the MacBook Air is selling well, according to Electronista.